My heart has been very moved by a passage from Wounded by Love, the Life and Wisdom of Saint Porphyrios. It speaks to so much of my own life and the world around me that for this post I would like to invite you in to hear his wonderful story of one lone nightingale. Please let it sink deep into your heart, I know that I am trying to do the same. 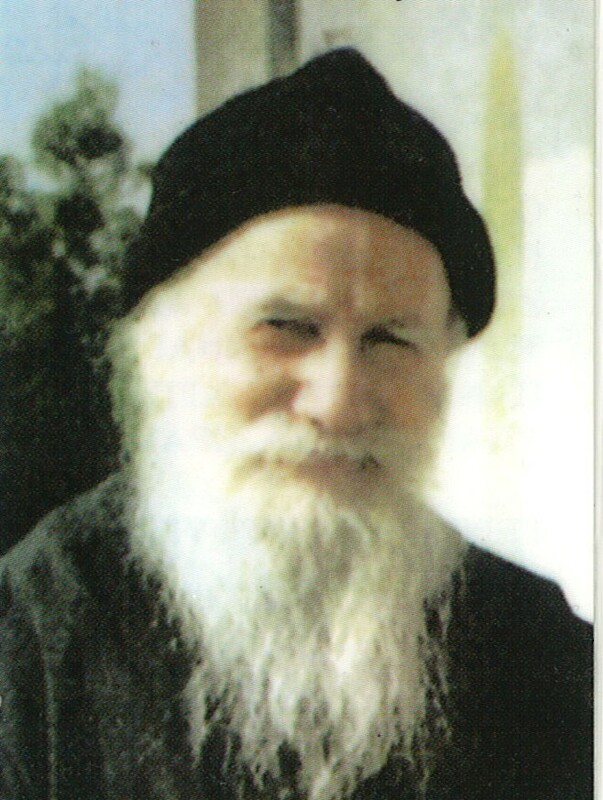 Holy Father Porphyrios, pray to God for us! One morning I was walking alone in the virgin forest. Everything, freshened by the morning dew, was shining in the sunlight. I found myself in a gorge. I walked through it and sat on a rock. Cold water was running peacefully beside me and I was saying the prayer. Complete peace. Nothing could be heard. After a while the silence was broken by a sweet, intoxicating voice singing and praising the Creator. I looked. I couldn’t discern anything. Eventually, on a branch opposite me I saw a tiny bird. It was a nightingale. I listened as the nightingale trilled unstintingly, its throat puffed out to bursting in sustained song. The microscopic little bird was stretching back its wings in order to find power to emit those sweetest of tones, and puffing out its throat to produce that exquisite voice. If only I had a cup of water to give it to drink and quench its thirst! Tears came to my eyes – the same tears of grace that flowed so effortlessly and that I had acquired from Old Dimas. It was the second time I had experienced them. My poor health does not allow me to narrate all this to you as I feel it. A whole book could be written about it. I loved that nightingale very much. I loved it and it inspired me. I thought, ‘Why it and not me? Why does it hide from the world and not me?’ And the thought entered into my mind that I must leave, I must lose myself, I must cease to exist. I said to myself, ‘Why? Did it have an audience? Did it know I was there and could hear it? Who heard it as it was bursting its throat in song? Why did it go to such a hidden location? But what about of all these little nightingales in the middle of the thick forest, in the ravines, night and day, at sunset and sunrise? Who heard their throat-bursting song? Why did they go to such secret places? Why did they puff out their throats to bursting?’ The purpose was worship, to sing to their Creator, to worship God. That’s how I explained it. I regarded all of them as angels of God, little birds that glorified God the Creator of all and no one heard them. Yes, believe me, they hid themselves so that no one would hear them. They weren’t interested in being heard; but there in solitude, in peace, in the wilderness, in silence, they longed to be heard, but by whom? None other than by the Maker of everything, the Creator of all, by Him who gave them life and breath and voice. You will ask, ‘Did they have consciousness? What am I to say?’ I don’t know if they did it consciously or not. I don’t know. These, after all, are birds. It may be, as Holy Scripture says, that today they live and tomorrow exist no more. We mustn’t think differently from what Holy Scripture says. God may present to us that all these were angels of God. We don’t know about these things. At all events they hid themselves that no one would hear their doxology. So it is also for the monks there on the Holy Mountain; their life is unknown. You live with your elder and you love him. Prostrations and ascetic struggles are all part of daily life, but you don’t remember them, nor does anyone ask about you, ‘Who is he?’ You live in Christ; you belong to Christ. You live with everything and you live God, in whom all things live and move – in whom and through whom…you enter into the uncreated Church and live there unknown. And although you devote yourself in prayer to your fellow men, you remain unknown to all men, and perhaps they will never know you. Fr. Ephrem Lash gave a riveting lecture on the Divine Liturgy entitled “Translating The Liturgy: Was there a Great Entrance at the Last Supper?” (1) In it, he points out vividly that aspects of our liturgical life of offering bread and wine to become the Body and Blood of Christ grew organically from a background that began with the Last Supper, and he shows that this does not mean that each component of the Divine Liturgy today was present even in an embryonic sense at the Last Supper. If we consider the Byzantine liturgy, the Great Entrance is a momentous occasion, so much so that Patriarch Eutychius called for the Cherubic hymn to be sung to counterbalance any notion that the bread and wine carried in the procession were already consecrated before the Anaphora (2). And despite the fact that the Last Supper brought the Eucharist to the world for the first time, it would be anachronistic to believe that there was a Great Entrance at the Last Supper, as the rhetorical question in the lecture title drives home so poignantly. Despite not being as ancient as the Eucharist itself, we will consider the development of the Great Entrance to understand the benefits and potential pitfalls of this practice. As the liturgy developed in the first centuries of the Church, we read that “[t]he people, both in East and west, brought the bread and wine for the Eucharist.” (3) In the East “they handed in their offerings on the way to the Church, either at a table near the door, or in a small room specially provided near the entrance.” (4) Our understanding of the Eucharist as an offering from our own lives to bring the life of Christ to the Church and the world was clearly connected to this action of the faithful providing the bread and the wine, and to a partial extent this continues to this day with the faithful who prepare Prosphora in Byzantine parishes. As practical considerations brought more specialization to the Church, the place where the bread and wine were kept for the Anaphora changed. First, there was a transition from a table or small room to the Skeuphylakion, a separate building that stored the gifts of bread and wine which would be selected by deacons for the liturgy. Despite having its own building, the liturgy in Constantinople during the time of St. John Chrysostom did not have a Great Entrance as we know it. Wybrew states that “it is reasonably clear that in Chrysostom’s time the gifts were brought in by the deacons from wherever they had been left by the people and that this transfer was effected in a simple manner…accompanied by neither chant nor ceremonial.” (5) Thus, the transfer of the gifts from the Skeuphylakion to the altar began without ceremony, despite the current hymns and rubrics for the Great Entrance. By 392, however, Theodore of Mopsuestia recounts at length about the awe and wonder of the same basic practice of bringing the gifts to the altar (6). Meditating upon the reality of the offering of Christ, the symbolism of His suffering, death, anointing and burial became integrally part of the Great Entrance. The ceremonialism that was not present in the early 300s emerges later in the century, and became so profound that Patriarchs chided those who held that the bread and wine were already consecrated, the Cherubic hymn was instituted, and the rite of Prothesis at the side altar came to replace the Skeuphylakion (7), which would have its own solemnity and symbolism to provide a context that would make sense of how we treat the gifts as special even prior to their consecration. Taken together, the progression away from simple actions in the earliest centuries of Church History reached a pinnacle of contrast where a rite before the procession was instituted providing symbolism pointing to Christ’s birth, the rite of procession at the Great Entrance was established to consider the suffering, death and Burial of Christ as well as the angelic powers worshipping the life-creating Trinity, ultimately leading to His Resurrection from the dead at the Anaphora and vivifying His people through reception of His Body and Blood at the Holy Eucharist. On the one hand, we can be grateful to God for this development over the centuries. Hearing the prayers of the Prothesis (if they are audible and intelligible) can provide an excellent context of what is to be celebrated before the liturgy commences. By considering the prayers from this rite that hearken to the birth of Christ, and by seeing the great company of angels and saints surrounding Christ, we are drawn into the mystical realities of heaven, where the praise of God never ceases. In adding particles to the diskos for the faithful departed, our hearts swell with hope and prayers for those we have lost. Tying this together with the same gifts that are then solemnly carried through the nave of the Church and through the Royal doors at the Great Entrance, we are swept into the drama of the Passion, and the words of the Anaphora remind us that after death there is life. And as that life comes to the faithful who partake of it (or are blessed with the words, “Save Your People, O God, and bless Your inheritance”), the reality of Resurrection and life that is beyond the grave is embossed on our souls. In many ways, this experience emphasizes the reality of the life of Christ in the drama of salvation in a way that a liturgy which is not formalized can never do. On the other hand, the formalization that comes to us through liturgical developments suffers the possibility of missing out on the personal connection to the offering that was seen more clearly in the early practice of the Church. As mentioned above, some parishioners may serve their congregations through preparing prosphora. Nevertheless, the majority of the people do not participate in this reality, and if that is the case there are many faithful who may not connect themselves to that which is offered in the Eucharist. The modern Byzantine rite may point us to Christ, but how do the faithful connect with this reality by seeing themselves in the liturgy? I would argue that a balanced approach of understanding what Christ did for us and understanding what we do to unite ourselves to Christ and His Church in the liturgy is the key to the most ideal perspective. We must be able to see that we are part of the offering to God, and at the same time we must grasp how Christ offers Himself through our offerings to God. In so doing, we plumb the depths of the mystery of our salvation more clearly than an either/or perspective. Instead, we will see Christ’s priestly ministry and outstretched arms that seek to save us, and at the same time we will appreciate that our own efforts are part of the synergistic movement towards life everlasting. In so doing, we grasp the fullness of salvation and see the drama of its unfolding in our day to day lives. Glory to Jesus Christ! The richness of the Byzantine liturgical life of prayer has overwhelmed many, particularly those of us who are tasked with leading singing the multitude of services and musical tones that undergird it. The principle of lex orandi, lex credendi, lex vivendi dictates that the prayer life of the Byzantine faithful will also influence perspective and faith in the Scriptures. From a Biblical perspective, there is a deeper foundation beyond the musical complexity of the Byzantine rite that can be a blessing to anyone with ears to hear and eyes to see. This Biblical foundation is so central and yet so often overlooked that at many times one may spend a great deal of time ignorant of its depths and splendor. By reflecting upon some of the Biblical references in the Akathist hymn, I argue that the Bible is deeply foundational to the mystical perspective which pervades Byzantine spirituality. The Akathist hymn to the Theotokos is attributed to St. Romanos the Melodist, who is said to have composed it in the 6th century. This hymn leads those who pray it through the life of the Mother of God and the prophetic foreshadowing of her life from the Annunciation to the Birth of Christ. Why does this matter in terms of Scriptural interpretation? As we shall see, the mystical viewpoint of the Byzantine Christian Tradition comes to life in this hymn. Parallels between the Old and New Testaments are made in ways that seem shocking to the perspective that literal Biblical fulfillment is the height of good exegesis. Instead, the perspective of Old Testament fulfillment and interpretation is centered upon mystical foreshadowing that is larger than the strict message of a given text. For the purpose of this essay, we will reflect on the sixth Kontakion and Ikos, which are below (online source: http://www.orthodoxa.org/GB/orthodoxy/spirituality/AkathistMotherGodGB.htm) . Kontakion 6 Having become God-bearing heralds, the Magi returned to Babylon. Fulfilling Your prophecy, and having preached You as the Christ to all, they left Herod as a trifler, who knew not how to chant: Alleluia. Ikos 6 Having shed the light of truth in Egypt, You expelled the darkness of falsehood; and unable to bear Your strength, O Saviour, her idols fell; and they that were set free from them cried to the Theotokos: Rejoice, Uplifting of men. Rejoice, Downfall of demons. Rejoice, you who trampled upon the delusion of error. Rejoice, you who censured the deceit of the idols. Rejoice, Sea which drowned the symbolic Pharaoh. Rejoice, Rock which refreshed those thirsting for life. Rejoice, Pillar of fire, guiding those in darkness. Rejoice, Protection of the world, more spacious than a cloud. Rejoice, Nourishment, successor to manna. Rejoice, Minister of holy joy. Rejoice, Land of promise. Rejoice, you from whom flows milk and honey. Rejoice, O Unwedded Bride. First, let us note that the kontakion provides the context of the rejoicing in the subsequent Ikos. In the midst of the narrative of the Annunciation and Nativity, we reflect in the 6th section upon the Magi departing from Bethlehem in a new direction. Instead of going back towards Herod, they perceive his unbelief and journey to Egypt. The Ikos too then focuses on Egypt and speaks to the Mother of God in the light of her being the Mother, as well as in relation to the people of the Old Testament. While it is true that she sojourned there with the young infant Jesus and His foster father Joseph, the words relating her to Egypt and salvation in general shed light on the Byzantine view of Scripture. After describing the Theotokos in general terms indicating that she brings light and salvation ultimately through her Son, the Ikos places her into the contexts of the Exodus of Moses and His people from Egypt. This key section of the Ikos proclaims that Mary is a great variety of salvific events and supernatural things from the Exodus account. In sum, she is called the sea that drowned the symbolic Pharaoh (Exodus 14:28), the Rock which brought forth water (Exodus 17:6), the pillar of fire which guides those in darkness (Exodus 13:21), the protection of the world that is symbolized by the cloud (Exodus 13:21), the successor to manna (Exodus 16:4), the minister who brought joy (here the connection is somewhat unclear to Exodus, likely Moses and/or Aaron), and lastly the Promised Land that flowed with milk and honey (Exodus 3:17). There is so much that can be said about this mystical perspective on the book of Exodus given to us in the Akathist. We are given explicit terms such as “symbolic Pharaoh” and “successor to manna” which look beyond the times of Moses and his people to consider how the Old Testament is fulfilled through Christ and His Mother. At the same time we hear about terms such as the rock and the pillar in unqualified terms as though Christ and His Mother were present in Egypt during the times of Moses; this is less difficult to consider with Christ as the Eternal God, as compared to His Mother. What is this hymn teaching us through its own “lex orandi”? From these titles given to the Mother of God, we see that the nature of Old Testament fulfillment in the New Testament is not linear. We do not look at the Exodus event and attempt to find multiple means of protection and salvation in the Akathist’s rejoicing. In other words, John the Baptist is not the Sea, Mary is not the rock, Joseph is not the pillar, Jesus is not the manna, and heaven is not the Promised Land, in this narrative at least. Instead, we are praying to and focused on one person in all of the imagery, and the Theotokos is seen as the entire bridge from Egypt to the Promised Land for the people of God led by Moses, with all of the distinct aspects of each title that she receives in her Motherhood of Christ and His Body, the Church. In terms of the first title, she is the one who defends and even destroys the Pharaoh who attacks us. As a rock flowing with water, successor to manna, land flowing with milk and honey, she is the one who nourishes us. As a pillar of fire by night and cloud by day, she is our guide and shelter who takes us through our wanderings and journeys towards the Promised Land. As a minister, she leads and instructs us, as did Moses and Aaron (and their successors). And as Promised Land itself, she is our home. This vision painted by just one of the Ikoi in the Akathist gives us a sense that as we read the Scriptures, we encounter salvation in a multifaceted sense. We do not look for one to one correspondence between Old and New Testaments, nor do we necessarily need to consider all things typology. Instead, we can be wise and see parallels between Old and New Testaments as we pray. And when we read the stories from the Old Testament which may seem difficult to compare to our life in Christ, we can pause and be silent if we have not been given eyes to see by the liturgical tradition which nourishes us, or through prayer and beseeching the Holy Spirit. In conclusion, the greatness of the Byzantine Tradition is that its complexity offers the one who prays with it a wealth of inspiration. Taking the Akathist as one example, we can approach the Bible with a mystical eye that sees hidden treasures that are brought forth as we think about how the Old and New Testaments compare to one another. We can see Christ and His Mother in so many aspects of the salvation of Israel, and thus in our own salvation. Space cannot allow us to also consider other aspects where these comparisons are made in the rest of the Akathist hymn, or the ways that the lectionary’s readings for Vespers paints a similar picture between the Old and New Testaments, or the way in which Psalms are chosen for Feasts, Vespers, Matins, the Hours, and the like. In each of these, the point is reinforced: the Bible is applicable to all of our life, and we only need to enter into this wealth of beauty with eyes of faith to grasp it.